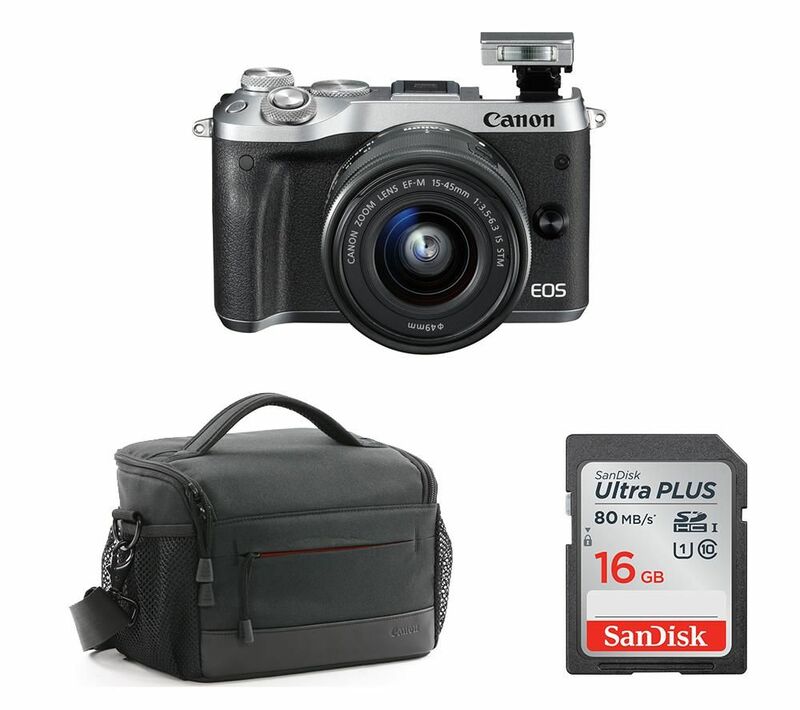 Capture stunning images with the Canon EOS M6 Mirrorless Camera with 15-45 mm f/3.5-6.3 Lens & Accessories Bundle. 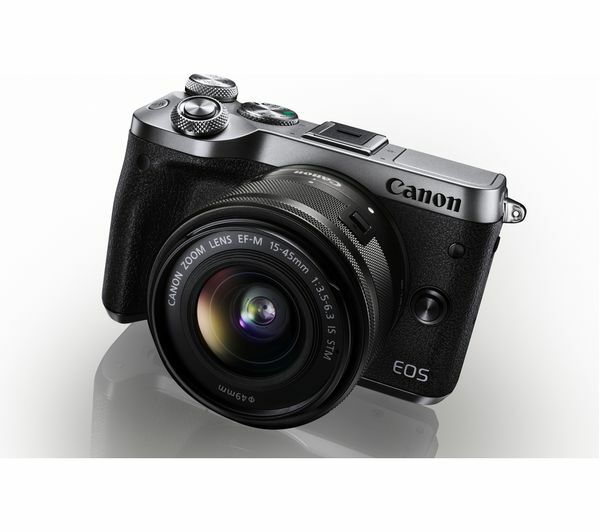 The EOS M6 features a large 24.2 megapixel sensor to help you capture amazingly detailed images. Even in low-light and high-contrast conditions, the camera produces accurate colours and smooth tones using a DIGIC 7 processor. Using Dual Pixel CMOS AF you can quickly and accurately focus on your subject, tracking moving objects with ease. 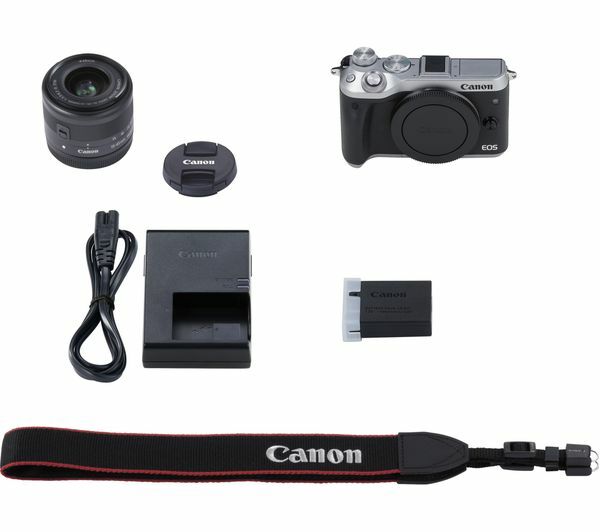 Capable of shooting at up to nine frames per second, the camera ensures that you don't miss those important moments. A tiltable touchscreen offers you quick and easy control over the camera settings. 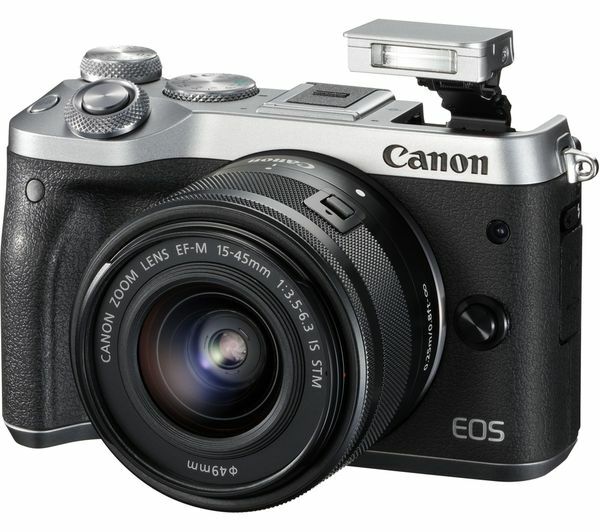 The included 15-45 mm lens is ideal for both stills and movies. Small and versatile, you can take the zoom lens with you wherever you go to capture everything from dramatic landscapes to stunning portraits. 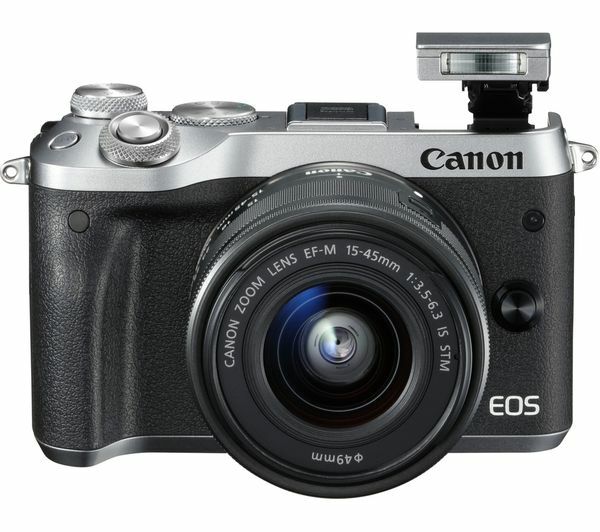 You can capture Full HD video footage using the EOS M6. Movie mode delivers naturally smooth focusing, recording detailed Full HD footage at up to 60 frames per second. Get creative and use the time-lapse setting to record artistic video clips or create intricate slow-motion effects. The EOS M6 is ideal for photography on the move in a variety of situations, whether you're exploring lush landscape or capturing family photos at the beach. You can share your creations with ease as the EOS M6 features built-in WiFi and Bluetooth connectivity. Alternatively, you can connect the camera to compatible Android devices with a single tap using Dynamic NFC. Image Sync automatically transfers new images to the cloud so that you can share and download them from your PC or Mac. 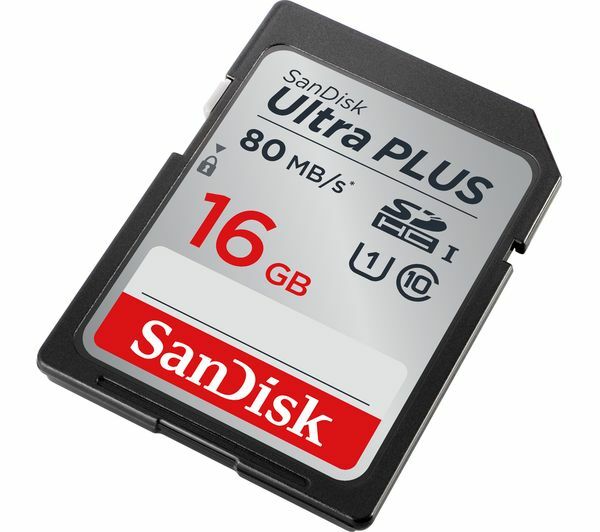 With 16 GB of available storage space, you can easily store and carry all of those important memories. 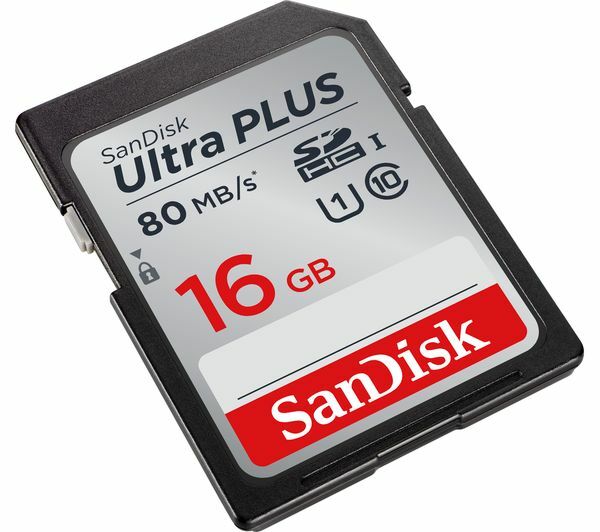 With transfer speeds of up to 80 MB/s, you can quickly and easily move your data. Plus with a Class 10 video rating, you can capture Full HD4 films without dropouts and stuttering. 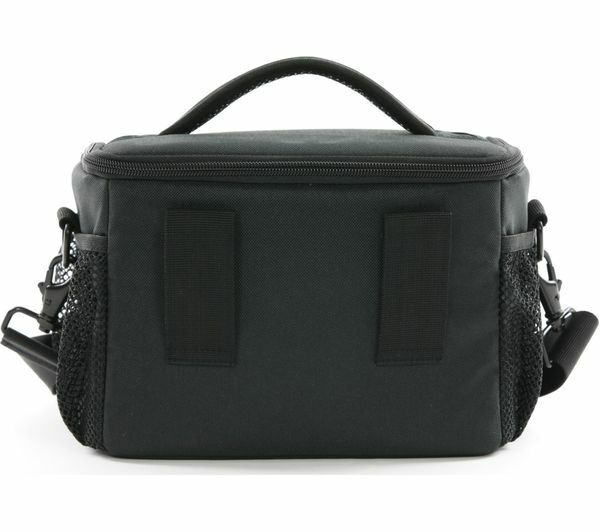 You can take the Ultra Plus Class 10 with you wherever you go thanks to its durable design. 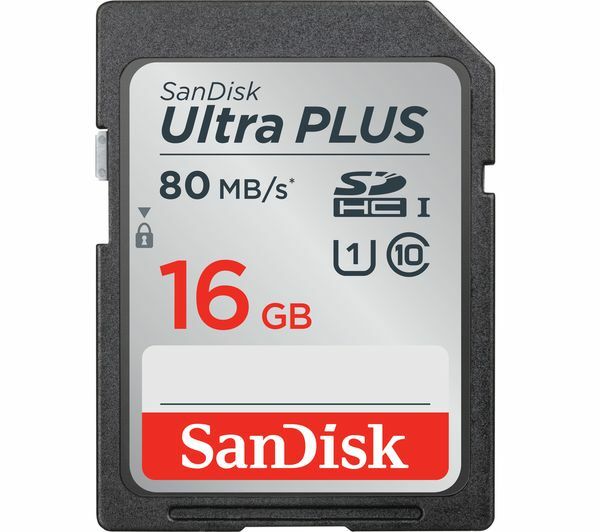 The memory card is waterproof, shockproof, x-ray proof and temperature proof to ensure that your files remain safe at all times. 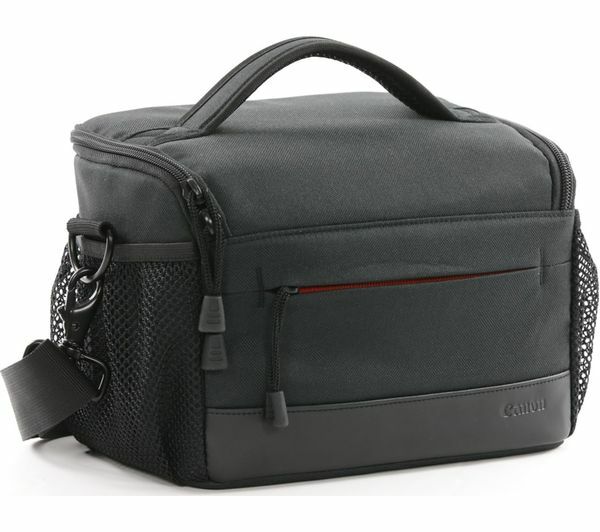 Keep your mirrorless or DSLR camera and two lenses close at hand with the Canon ES100 DSLR Camera Bag. Featuring adjustable internal storage, you can easily respond to different photo opportunities as they arise. 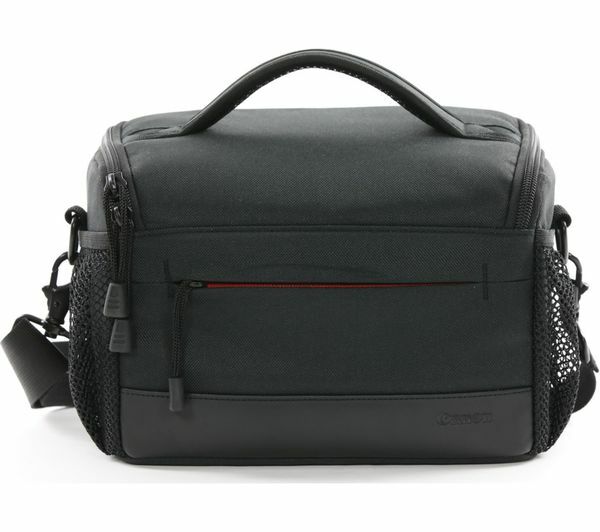 The spacious interior offers all the storage you need for memory cards, spare batteries and cables so that you're never caught out while filming or shooting. 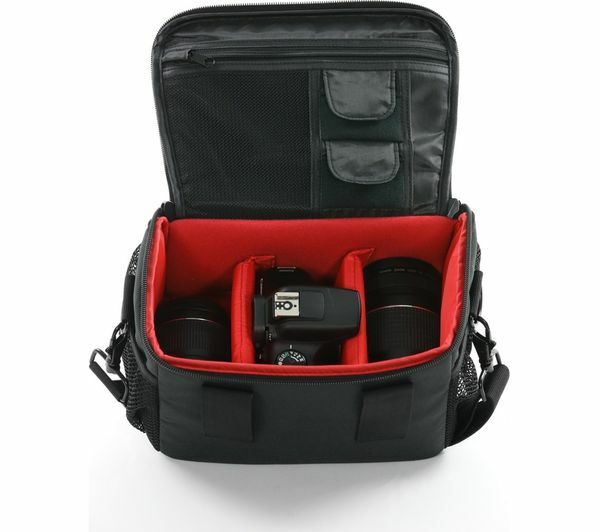 Providing essential protection for your camera and lens, the Canon DSLR Camera Bag is ideal for travel, with an adjustable shoulder strap and double zip closure to keep everything close at hand and well protected. Remote shooting - You need The Apple OS X if you want advanced remote shooting option though. Raw Image quality - Super! The remote shooting application for Windows/Android.